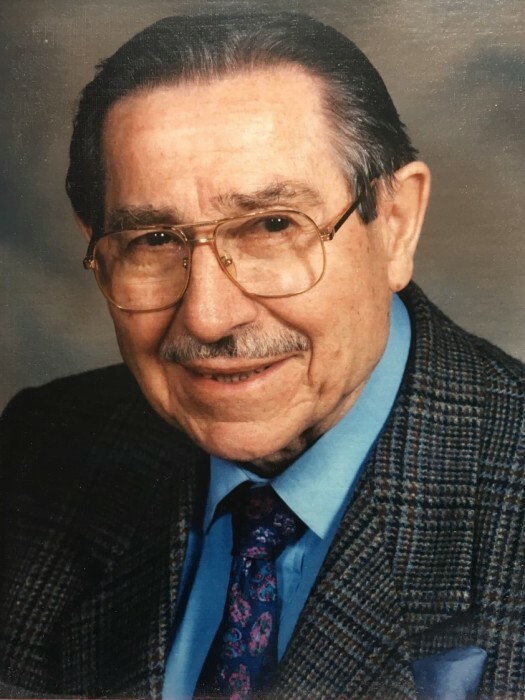 Born in Swift Current Saskatchewan in 1918, Dr. Daniel Komesch surpassed one of his many ambitious goals of living to 100 years before passing peacefully at the Perley and Rideau Veterans Health Centre on April 6, in his 101st year. Growing up a gifted athlete Dan developed a love for sport that would define his career. From an early age he was successful in swimming and track, and through his teen years, despite his smaller stature, was a talented hockey player known for his hip-check. Dan played in the juniors for the Trail Tigers, who in 1938 progressed to the Memorial Cup playdowns. WW II interrupted Dan’s athletic career when he joined the war effort to fly with the RCAF, earning his wings in 1942, training pilots for Canada and Great Britain. Following the war, Dan and his wife Mary moved to Toronto where he graduated from the Canadian Chiropractic Memorial College in 1950. Ottawa became their home and Dan set up a thriving practice on Metcalfe St., where he remained until his retirement at 88. Dr. Dan’s love of sport was married to his career as he focused on athletes and dedicated his time to the Ottawa Rough Riders, GeeGees, and Bootleggers. Dan proudly wore his Grey Cup and Vanier Cup rings after being part of championship teams in 1960 and 2000. His office walls were adorned with team photos and thank yous from athletes who were able to get back in the game, thanks to his “magic hands.” In 1999, he was honoured as Chiropractor of the Year, recognizing his commitment and passion to the profession. Dr. Dan was a mentor to many, including his family who received great lessons in how to fish, canoe, stickhandle, and persevere. Dan was predeceased by his wife Mary, in April of last year and his son Donald in November. He is survived by his son Ronald (Lucy) of Mexico, grand-children Carrie (Adam), Daniel, Jason and great-granddaughter Sadie Coombs. Heartfelt thanks to all the staff at the Perley who gave care and comfort to this old cowboy from Saskatchewan. A celebration of Dan’s life will be held at the Manotick United Church, 5567 Manotick Main St, Manotick on Saturday, April 20th from 2-4 pm. In lieu of flowers, those wishing to make memorial donations can do so to the Canadian Memorial Chiropractic College.